How to get to Iquique? There are daily flights from the National Airport in Santiago, and you can inquire for the timetable of flights from other cities such as Arica, La Serena and Copiapó. 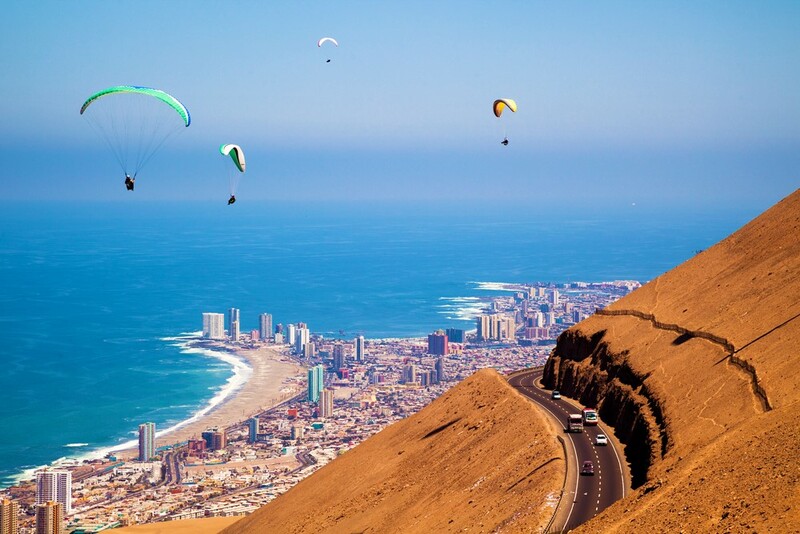 Flights come in to Iquique airport. You can get there by the Pan-American Highway from the south or the north. From the north the nearest city is Arica, 307 km away. From the south the road runs through Calama, 389 km away. There are daily services from neighboring cities and the outlying towns of the area. Inquire about departure times in the appropriate bus terminals.